This year has been a fantastic year for bluebonnets, even in the woods. 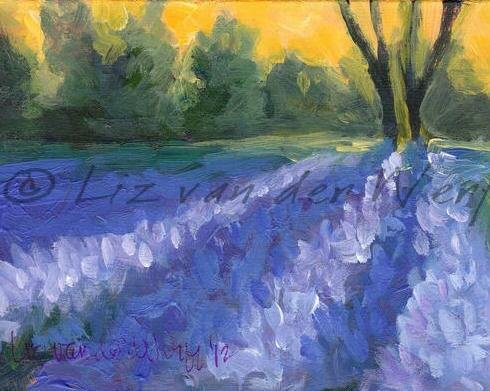 This is a painting of the bluebonnets in the evening in Meridian State Park. This painting is framed in a vintage gold frame. If you would like it unframed, it is available for $99, just let me know.. Your satisfaction is guaranteed! My paintings hang in homes all over the world. If you have any special requests or questions, please contact me.